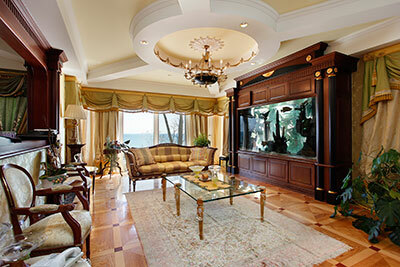 Palm Beach Oriental Rug Cleaning Pros are the choice for Oriental rug cleaning in Jupiter, Florida. We know everything there is to know about your Oriental rug, and we have the skills, experience and products to take the best possible care of your rug. ‘Oriental rug’ is a broad term that refers to any rug made in an Asian country. This could include India, China or Turkey – most Oriental rugs are made in these countries, although Iran and Vietnam are becoming known for rug making. These rugs are expensive because of the tedious work that goes into them, and we would never do anything that would damage yours. These rugs are made from organic materials including wool, silk and cotton. The most authentic ones are handmade, although there are now machine-made rugs produced all over the Orient as well. We specialize in all types of rug cleaning, so no matter what kind of rug you have, know that we can clean it! You can’t do everything the Palm Beach Oriental Rug Cleaning Pros can do to keep your rug looking brand new, but there are some things that will keep it looking newer longer. For example, you can rotate the rug every few months in order to reduce wear and tear. You could even remove if for a while and put it back out the next season. The more you move the rug around, the less it will get tracked by foot traffic or indented by heavy furniture. If your Oriental rug is hanging as a beautiful wall decoration, you can protect it by not hanging it in direct sunlight. You should never clean a valuable Oriental rug yourself. If you are located in Jupiter, Florida or the surrounding area, hiring a professional like Palm Beach Oriental Rug Cleaning Pros can save money and effort, not to mention saving your rug. A concern for preserving your rug. Make sure that the company is first and foremost concerned with restoring your rug to its original beauty. Convenience for you. Companies like Palm Beach Oriental Rug Cleaning Pros will pick up the rug, clean it back at their professional facilities and then deliver it back to you – without any inconvenience to you! High-quality products. Do a little research ahead of time and then ask questions at your consultation with the professional rug cleaning company of your choice to see which products they use. Nothing but the best should be used on your Oriental rug! 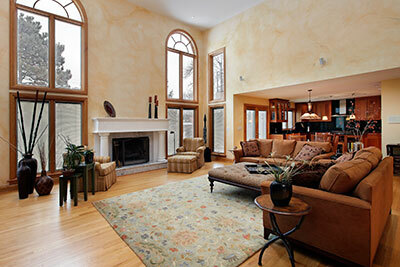 WHY GET AN ORIENTAL RUG CLEANING PROFESSIONAL? All rugs present certain problems for carpet cleaners who don’t know what they are doing. 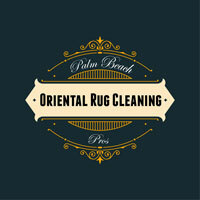 Palm Beach Oriental Rug Cleaning Pros serves Jupiter, Stuart, Tequesta and the surrounding areas. For one, a rug isn’t attached to the floor like carpet, so the deep cleaning methods used on regular carpet won’t work. We don’t have to clean through to the sub flooring. This means that we have to clean thoroughly without being too harsh. Also, the natural fibers of expensive rugs and the intricate techniques used to handcraft them mean that they need extremely gentle cleaning techniques and products.